This most reluctant of adventurers is dragged and propelled by train, plane, and automobile through an outlandish series of antic media events on her way to becoming―to her horror―a kind of celebrity. And along the way, as the numbness begins to wear off, she comes up against something she has avoided all her life: her future. 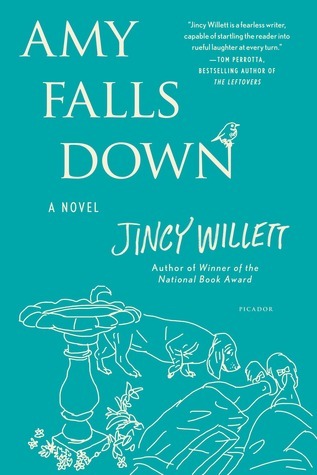 Jincy Willett's Amy Falls Down explores, through the experience of one character, the role that accident plays in all our lives. "You turn a corner and beasts break into arias, gunfire erupts, waking a hundred families, starting a hundred different conversations. You crack your head open and three thousand miles away a stranger with Asperger's jump-starts your career."